In so far as the gameplay is concerned, MMOs traditionally have been about lengthy solo leveling experiences (read: grinding) with a smattering of teamwork needed in certain encounters. Yslandia on the other hand is more focused all around Player vs Player combat and social interactions (but with its own share of grinding). The three islands that make up the initial release of Yslandia are comprised of respective starting islands for the Simeh’a Alliance and the Zaa’me Coalition (essentially, Light vs Dark), and a neutral territory called Gilda where all the PvP combat goes on. And it’s on this latter island that most of your time in Yslandia will be spent. On Gilda, teams have to work together to capture Totems on the battlefield, thereby claiming territories for their Faction. 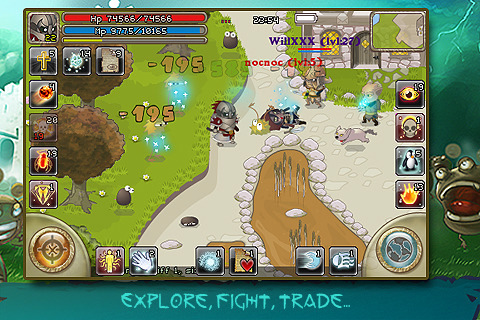 The game itself encourages this teamwork– particularly teamwork through guild participation– by way of its skill system. 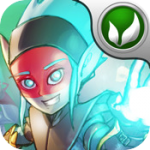 Departing from any existing skill-building concepts, characters in Yslandia learn additional skills by “training" with other guild members. Every 10 levels, you accumulate training points in addition to your standard skill points, which can then be invested in other guild members, bestowing upon them a skill you currently have learned. Aside from skills learned in this fashion, characters start with 4 skills, 2 of which are usually passive. ‘Usually’ in this context is used quite loosely, as Yslandia boasts a massive lineup of 18 different classes to choose from divided amongst 6 very different races (some of which have no passive skills). The developers have also gone beyond the usual warrior/ranger/mage archetypes to offer interesting classes such as the Necrophage, the Lycan Bloodhound or the mana-sucking Nocturn Deceiver. A thread on our forums is serving as a bit of a staging point with people trading tips and likely banding together as more people pick up the game. Similar to nearly every MMO launch since the beginning of recorded human history, Yslandia has a few bugs and some areas that feel rough around the edges. Thankfully, tthe developers are actively posting in the previously mentioned thread and mentioned that an update to address these problems and implement Game Center support is in the works.